Vintage cookbook by Procter and Gamble promoting their Crisco product. Prepared by the Home Economics Department. In used vintage condition, rips to back cover, worn corners and edges, stains. No offensive odors. Spine and 24 pages intact. Questions? Please ask! Your idea of acceptable vintage and mine may differ. 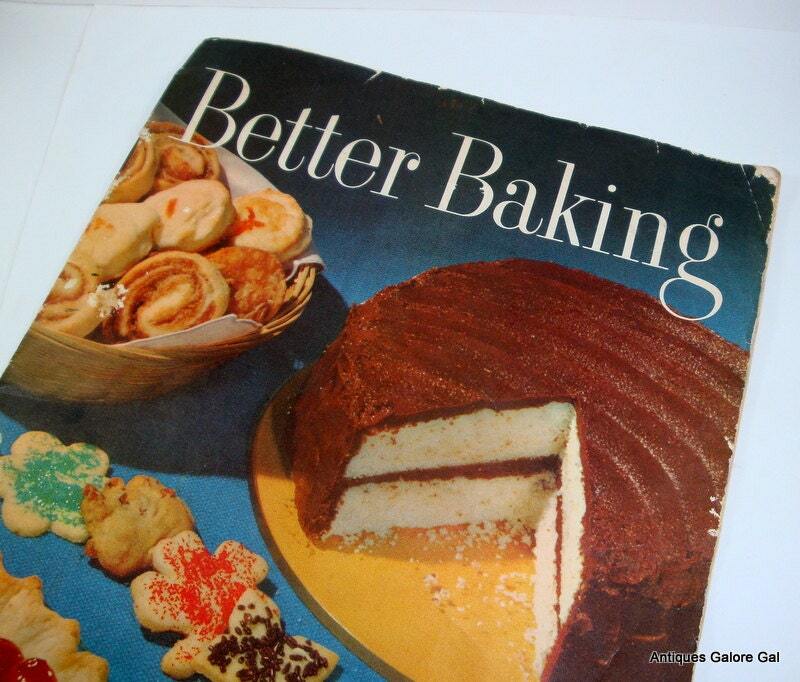 This book does show the wear of many years but still usable and full of great recipes! Could frame the cover for a baker friend if you like. More cookbooks? I'll combine your shipping and I do ship worldwide.